Zion National Park: We pick up at your hotel and travel to Zion National Park. Once we arrive we make our way to the back of the park and begin with a hike out the River Walk trail and make our way to the beginning of the famous Zion Narrows trail. Along the way, we walk through beautiful trees and plant life observing the beauty around you. Your guide will talk about the geology that formed the park some of the early inhabitants and history of the national park system. As we make our way to the front and upper park other possible visits include, weeping rock, emerald pools, canyon overlook and Checkerboard Mesa. A trip through the Zion-Mt Carmel Tunnel is a must. This tunnel allows us access to the upper plateau and petrified dunes of Zion National Park. 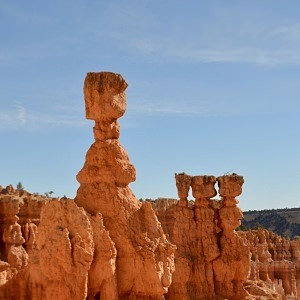 Bryce Canyon National Park: We pick your group up at the hotel of your choice and make our way to Bryce Canyon National Park. Depending on departure location we may take you over scenic highway 14 which travels over the beautiful pine mountains. Along the way, you will see Zion from a distance as well as a relatively recent volcanic flow layer down a short 800 years ago. We then continue on to Bryce Canyon. 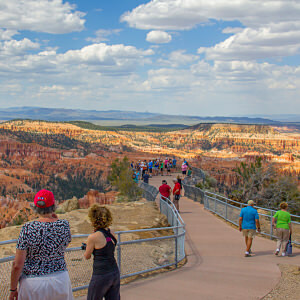 As we enter the park we make our way to some of the most beautiful overlooks that can include Natural Bridge, Bryce Point, Far View Point, Sunset Point, Inspiration Point and others. Based on guests ability and desire for a hike into the canyon is always a fun option. We descend 600 ft in among the majestic rock spires of Bryce. After we make our way back out we begin our journey back to the hotel. Departing from St George, Cedar City or Bryce UT. North Rim of the Grand Canyon: (Available May 15-Oct 15) We depart from St George around 8:00 AM and travel East. It takes about 2.5 hours to get out there. As we travel up the Kaparowitz Plateau we have a good chance of seeing the Bison herd that roams this portion of the Grand Canyon. This is one of the purest herds of Bison around as it has not been added to by non native bison. Once we arrive we will make a trip out to Cape Royal or Point Imperial Overlook for a spectacular view of the Canyon. From there we will make our way down to the beautiful North Rim Lodge. A visit to the lodge and then if desired a short walk out to Bright angel Point will finish our visit of the Canyon. We will return home arriving early evening. Snow Canyon State Park: After we pick you up at your hotel we travel to Snow Canyon State Park. This fun and beautiful park has some amazing and unique features. While in the park we can visit the petrified dunes and walk on top of several million year old petrified sand dunes. View the Lava tubes formed when the area was covered in volcanic vents and lava flows. Enjoy the contrast of the white and red sand dunes meeting with the black basalt of ancient flows. This beautiful park is a must see when in the St George area. Tours include historical and geological context talks as you explore the beauty of the park. If desired a stop at some nearby Petroglyph panels would cap off our day. Valley of Fire State Park: Travel with us to an area filled with fantastic rock structures resembling elephants, birds, and other animals. On this tour, we travel into the midst of a sandstone playground. 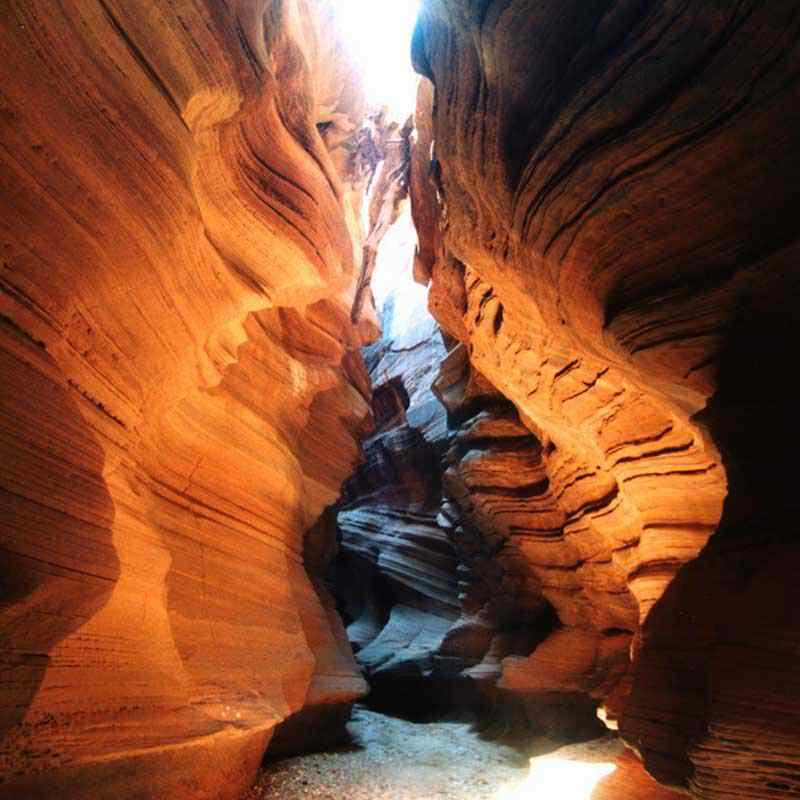 We take a short hike that goes past the remnants of an old western movie set and into a narrow slot canyon. As we travel in the park we visit a panel of petroglyphs named for an ancient hunting device called an atlatl. Along the way keep your eyes open for the herd of desert bighorn sheep that roam the park. As we make our way out of the park we will make one last stop for a walk through a natural “rock garden” with tunnels and caves carved from the rocks themselves. Be sure to bring your camera the artistic opportunities are numerous in this Nevada State Park. 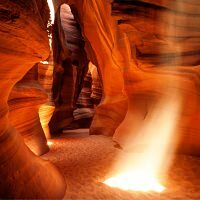 Antelope Canyon: One of the most beautiful locations in the Southwest. We transport you from St George UT to Antelope arriving in time to do an afternoon visit to the canyon. Tours of Antelope are led by Native American companies and are very limited. Because tours of Antelope have to be led by these Navajo companies, pricing will be based on the tour that is available for your selected date. Once we determine availablity we will give you a price quote. 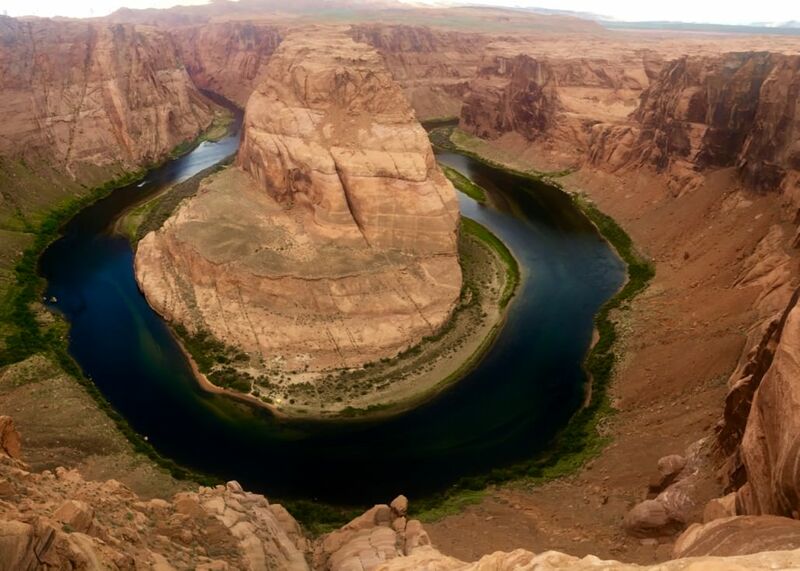 After we have visited the Canyon and had Lunch we make a short hike out to one other iconic location, Horseshoe Bend. 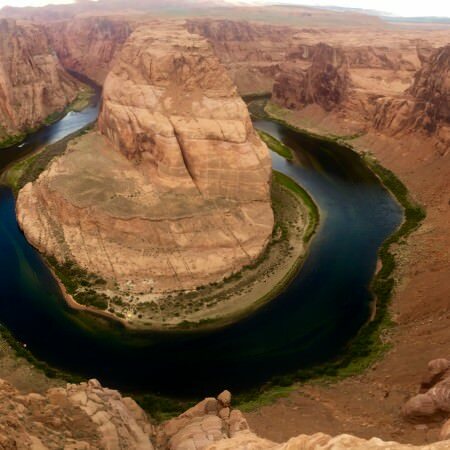 This view of the Colorado River bend is one of the most well-known photographs of the river. We then return to St George, UT for the evening. All day tours include water and snacks, and lunch provided by us, park entry fees, and transportation to and from your hotel. Prices vary depending on group size, location of departure and the park visited. All itineraries are customizable to the group. For example, some groups enjoy a more scenic tour while others want a more physically demanding tour. We can provide either or anywhere in between.